Highland Tank’s aboveground tanks are of the highest quality to ensure compliance with the U.S. EPA’s regulations for aboveground tanks for the storage of petroleum and chemicals. Primarily designed for safe storage of flammable and combustible liquids, our aboveground tanks are available in a variety of industry-proven cylindrical, rectangular, single-wall, double-wall and fire rated designs. 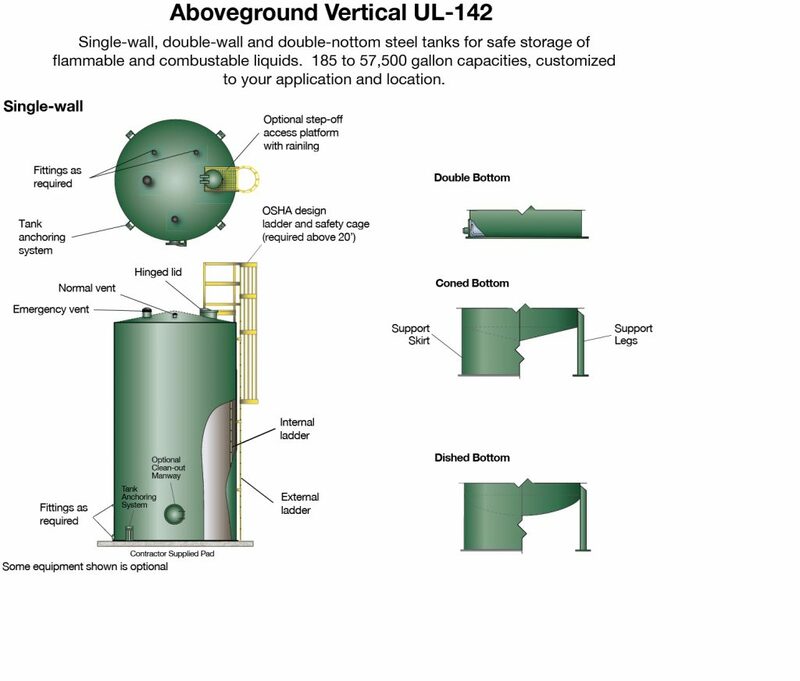 UL-142 aboveground steel storage tanks are engineered and designed to provide a sensible and safe solution to the storage of petroleum products and chemicals at bulk plants, transportation facilities, industrial sites, military and commercial airports. 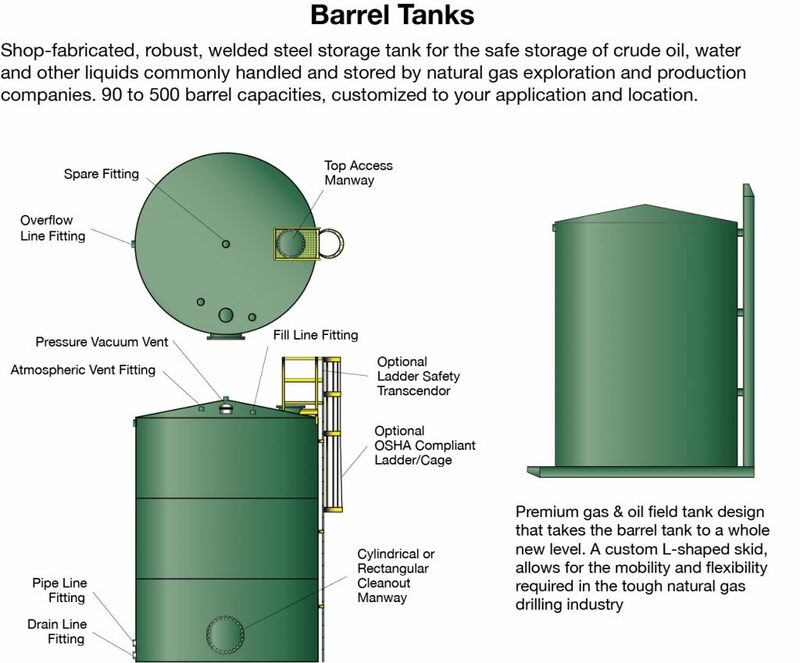 Gas & Oil Field (Barrel) Tanks are designed to provide the natural gas industry with a robust, welded steel storage tank for the safe storage of crude oil, water, and other liquids associated with natural gas exploration and production. These shop-fabricated barrel tanks are the ideal solution for storing a wide variety of liquid products while using the least amount of valuable real estate. Horizontal Bulk Drums are practical and economical. They conveniently store more product in less space than 55-gallon drums and allow for bulk purchasing at lower prices. Bulk Drums are available as single-wall and double-wall designs with multiple support options. 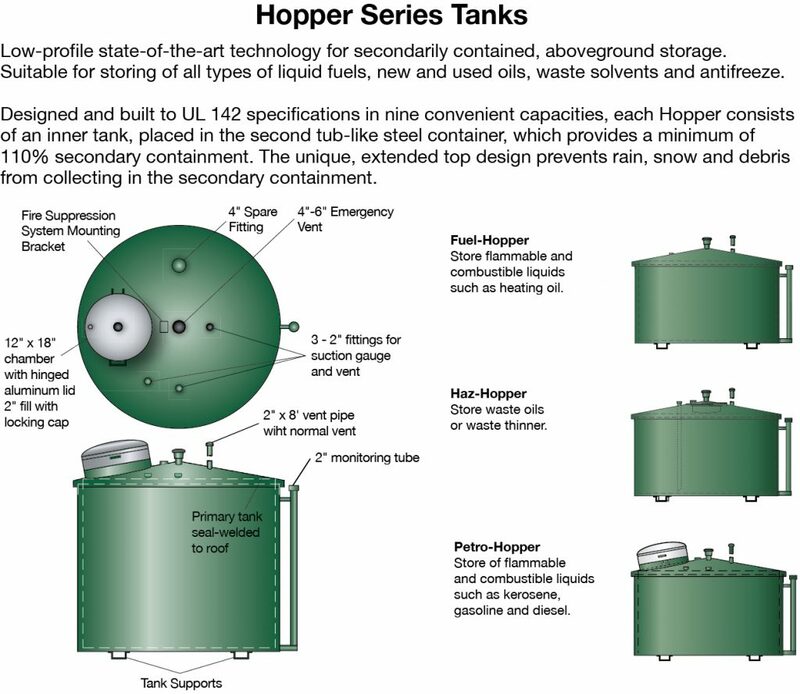 Highland Tank Hoppers are compact, low-profile, state-of-the-art technology for secondarily contained, aboveground storage. They are suitable for the storage of all types of liquid fuels, new and used oils, waste solvents, and antifreeze. The unique, extended top design prevents rain, snow and debris from collecting in the secondary containment. 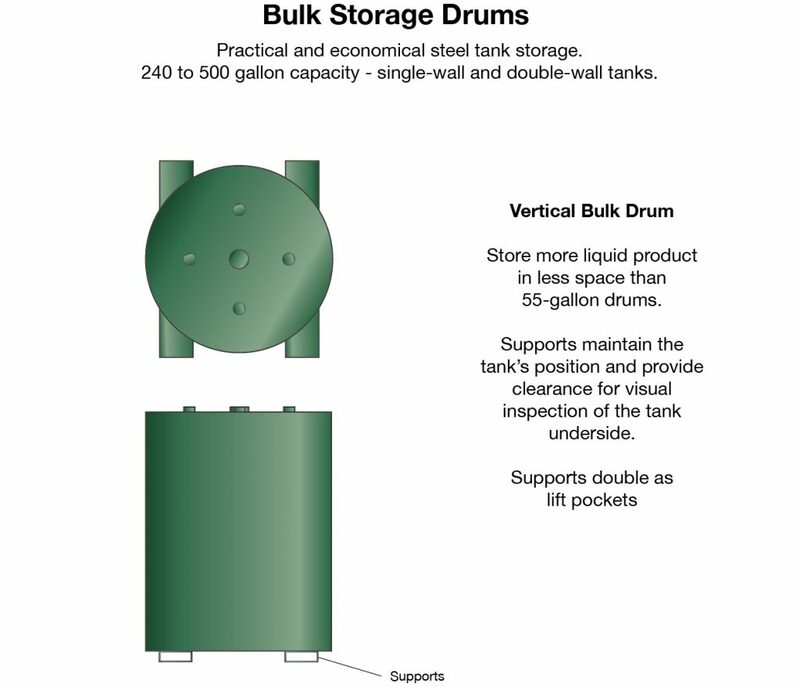 The Flameshield® option is available on all UL-142 double-wall aboveground steel storage tanks manufactured by Highland Tank. Flameshield® labeled tanks are manufactured to strict Steel Tank Institute (STI) specifications and are subject to the STI’s Quality Assurance program. Each tank carries the Flameshield® and SwRi 97-04 labels. All Flameshield® tanks employ a 360° outer wrap. Flameshield® tanks are available in a wide range of sizes from 240 to 60,000 gallons. Customized compartments and support systems are also available.